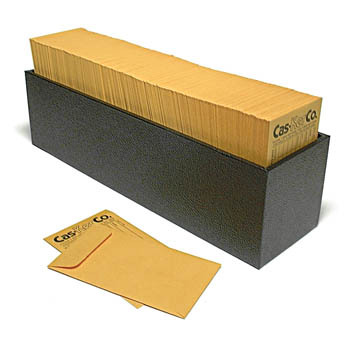 Classic black hardboard box holds hundreds of job envelopes, coin size or numbered triple-duty type. Covered in heavy textured vinyl. Measures 14-3/4" x 4" x 4". Envelopes not included.